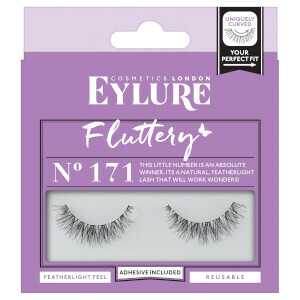 The Eylure Naturalite 070 Lashes will enhance the natural beauty of your eyes, without being over the top. 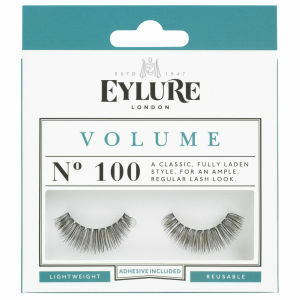 Suitable for all eye shapes and contact lens wearers, these lightweight, reusuable strip lashes are comfortable to wear. Lift the lashes from the tray with tweezers or your fingers, easing away from the tray by using your thumbs in a downwards motion. Measure against your eye and trim if necessary. Apply a thin layer of glue (included) to the lash band. Wait 20-30 seconds for it to go tacky. Using tweezers or your fingers, place from the middle of the eye and adjust the edges so they follow your natural lash line. If you make a mistake, peel of the lashes and remove the dried glue, then try again.